Mardles launch Kickstarter campaign for AR and VR coloring books with just 6 days to go! Coloring will never be the same again! Makers of 'stickers that come alive' are now crowdfunding their innovative new product with just 6 days to go on the campaign!. 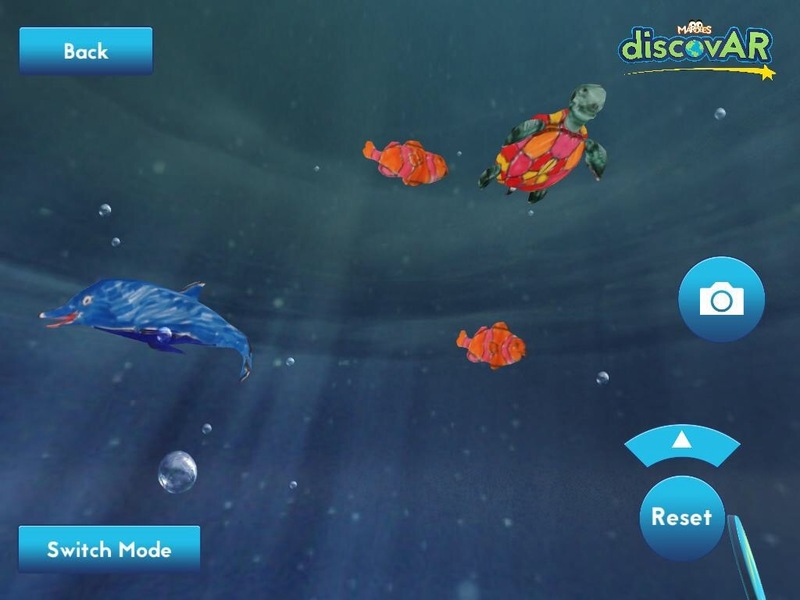 ‘DiscovAR’ is a traditional coloring book meeting 21st-century tech where kids can color-in a scene with normal pens or crayons and images come alive via free app. Using ground-breaking virtual reality technology, children can view their full 360-degree world through their smart device. 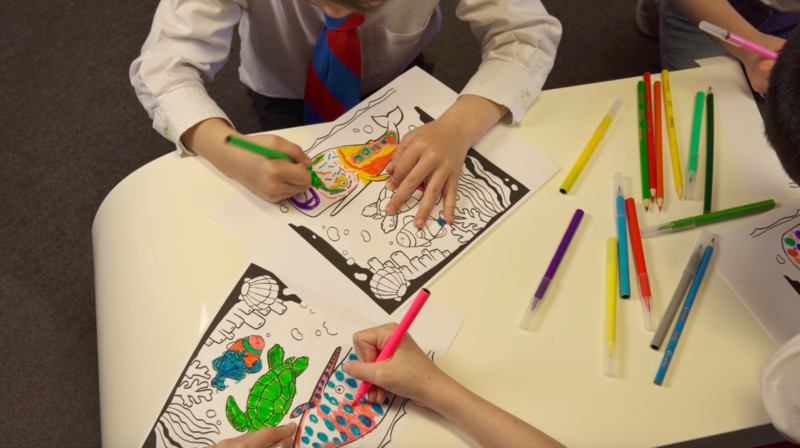 Mardles – the hugely popular pocket money stickers that come to life in 3D using a free app – have launched a Kickstarter campaign to fund a revolutionary new product, the world’s first educational coloring book that comes alive on a smartphone or tablet in both virtual and augmented reality. Children can use any pens, pencils or paints in order to color the scenes from the book. Then by holding a smartphone or tablet over any page, characters and environments pictured appear in 4D using the exact same colours chosen by the budding young artists. 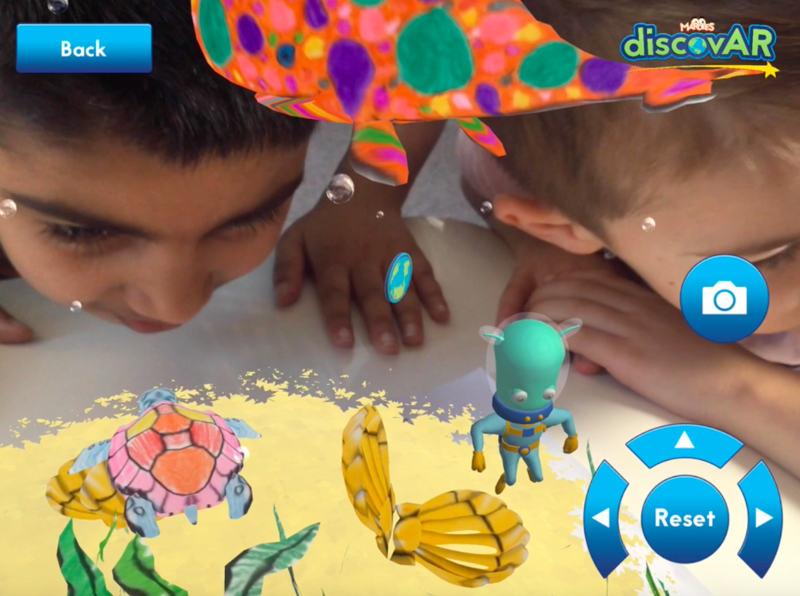 And while other big names have tried to bring similar ideas to life, British-made ‘discovAR’ is the first to use augmented and virtual reality in a colouring book that makes learning fun. 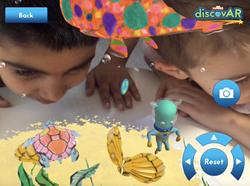 Kids can also customise their own alien character at the start of the app who then pops up in each of their AR scenes. But in Virtual Reality mode the alien acts as the child’s eyes so they can explore using on-screen controls to move the character around. The Kickstarter campaign runs until June 1, 2016 and the first run of innovative books shipped in September 2016. The hugely popular Mardles stickers have already sold more than 200,000 packets in the UK and US since launch in mid-2015. Earlier this year they were featured across the British media as a top toy for 2016. Each colouring book – themed on ideas such as underwater, outer space and wildlife, will also include three fun facts on each page to encourage children to learn. They will be available in four languages for worldwide audiences; English, Spanish, French and German. Mardles ‘discovAR’ works with Apple, Android and Amazon devices. Like the stickers, ‘discovAR’ is a British success being 100% designed, developed and produced in the UK. Sharon, and co-creator James Murden, have come up with various options for Kickstarter backers. They range from a single PDF scene by email, through to a colouring book (including worldwide shipping) or an option with two colouring books plus a set of six pocket-sized action cards. There is also a limited edition early backer set with four colouring books and the action cards (designed for use on the go) which will make the alien dance, clean his teeth & other cool ‘actions’.